The federal budget for the fiscal year 2015-16 introduced some new taxes and measures that, ideally, should provide relief to burdened citizens. But in the greater scheme of things, the budget did not seem to change much. The focus on de-incentivising non-taxpayers remained this year as well, while the government, surprisingly, held back on increasing government employees’ salaries and only offered a nominal increase in minimum wage. Dawn examines some of the aspects of the budget that will affect people from all walks of life and looks at how certain changes will affect household budgets and personal expenses. Federal government employees will get a 7.5 per cent (pc) raise under the new budget in the shape of an ad-hoc relief allowance on running basic pay, the finance minister announced on Friday. Federal government employees’ medical allowances have also been enhanced by 25pc. Mr Dar also announced that minimum wage had been increased by Rs1,000 to Rs,13,000. The government has also decided to double the salaries of senior private secretaries, private secretaries and assistant private secretaries. A uniform allowance of Rs10,000 per month will also be allowed to doctors and PhD holders working under the federal government, but this won’t affect their income, as it will replace the existing science and technology allowance of Rs7,500 per month and PhD allowance of Rs2,250 per month. All former federal government employees will get a 7.5 per cent increase in their net pensions from July 1, 2015, and their medical allowance has also been enhanced by 25 per cent. In addition, the budget recommends extending the facility of a family member receiving a pensioner’s income to widowed or divorced daughters of such individuals, until they re-marry. The government is going after entrepreneurs and businessmen who don’t file tax returns by increasing their tax rates. The slab for heavy electricity users has also been reduced in an effort to bring more consumers into the tax net. Currently, an advance income tax of 7.5 percent is collected on domestic electricity bills above Rs100,000, but the new threshold proposed is Rs75,000. Another new measure is the introduction of a 10 per cent withholding tax on rented machinery or commercial, scientific and industrial equipment by the resident Pakistanis. This tax used to be levied only on non-residents, but this year it is proposed to be extended to residents as well. In a bid to discourage the informal sector, adjustable advance income tax at the rate of 0.6 percent has been proposed for non-filers on all banking instruments and other modes of fund transfer through banks. 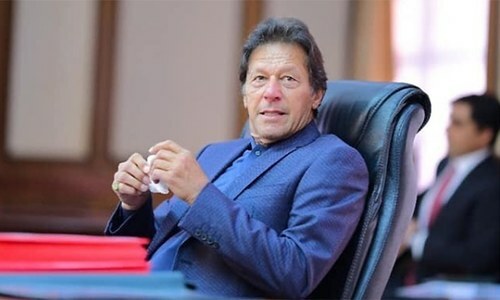 A new tax on affluent individuals, associations and companies earning above Rs500 million annually has been proposed and the proceeds will be used to rehabilitate persons displaced from the restive tribal areas. However, the government has also provided relief to salaried taxpayers, who earn between Rs400,000 to Rs500,000 per annum. Their rate of income tax has been reduced from 5 per cent to 2 per cent. Non-salaried individual taxpayers earning Rs400,000 to Rs500,000 per annum who are currently charged at a rate of 10 per cent, may now be charged only 7 per cent. In order to encourage corporate culture and the documented economy, corporate income tax rate has also been reduced to 32 per cent. Cosmetics and beauty products’ prices may rise by five percent in the next fiscal year, as per the finance minister’s announcement on the floor of the house. Mohammad Rashid, who owns a cosmetics shop in Rawalpindi, told Dawn that rates of locally-produced cosmetic products had already increased twice in the last fiscal year, discouraging customers. “Due to the levy of sales tax and other duties on cosmetic products, people prefer to purchase smuggled items from India and other countries,” he said, adding that that the lipstick, nail polishes and mascara of different ranges are available from anywhere between Rs200 to Rs500, according to the quality. “This will create problems for women. Beauty salons will also hike their rates in the wake of this increase,” feared Mahnoor Ahmed, a shopper in Saddar bazaar. Anti-tobacco lobbyists were still confused by Friday night and most reached the conclusion that much of their recommendations to increase cigarette prices were ignored. In the budget speech, Mr Dar said that the federal excise duty on cigarettes was proposed to be increased from 58 per cent to 63 per cent. Network for Consumer Protection Executive Coordinator Nadeem Iqbal told Dawn said that it seemed that the tobacco industry had managed to win over those who levied taxes. “Although the exact amounts would become clear in a few days, but it is clear there will not be a big increase in prices,” he said. The New Islamabad International Airport (NIIA) dominated the development budget for the Aviation Division, bagging more than 56 per cent of its allocated funds for the year 2015-16. Since most of the construction work at the new airport has been completed, allocations are meant for three auxiliary projects on the site, located near the town of Fatehjang. Due to a severe water shortage in the area, authorities have decided to construct a dam, to be called Ramma Dam, which will provide water for the airport. An allocation of Rs271.42 million has been set aside for it in the federal budget for the next fiscal year. Another NIIA project deals with the establishment of a Met Office there, and Rs18.58 million has been earmarked for this purpose. In addition, barracks are being built at the airport to accommodate Airport Security Force personnel. The 2015-16 budget proposes to reduce the withholding tax on ownership transfer fees and the annual tax tokens for privately-owned cars. Finance Minister Ishaq Dar told parliament on Friday. around one-third in the case of non-filers,” he said. People from the automobile industry criticised the PML-N government’s decision to levy withholding taxes on automobile registration, and car dealers say many people preferred not to transfer ownership of vehicles to their name to save on taxes. Currently, transferring the ownership of a five-year-old Toyota Corolla costs around Rs150,000, while a Suzuki Mehran 800cc costs Rs10,000 to transfer. However, tax payers can save nearly half that amount by producing their returns. Mohammad Irfan, a car dealer from Rawalpindi, said that a lot of people he knew avoided transferring vehicles to their name in 2014-15, forcing provincial governments to raise objections to this tax. He said that last year, he had sold more than 100 cars, but none of the owners bothered with transfer documents. The annual token tax on an 1800cc vehicle was around Rs12,000 , while an 800cc vehicle’s token fee is just over Rs1,300. In the proposed budget, the sales tax payable on various types of imported mobile phones has been increased from Rs150, Rs250 and Rs500 rupees to Rs300, Rs500 and Rs1,000, respectively. M. Qureshi of Quick Links Communications, in Sector F-10 Markaz told Dawn that a Samsung Galaxy S6, S6H and the Note 4 currently sell for Rs 75,000, Rs 93,000 and Rs 70,000, respectively. Their prices will increase by Rs 500 each. “Those who can afford to pay Rs 70,000 can also pay another Rs 500 so it does not make a big difference,” he said. Muhammad Zubair of the Google Store, in Sector G-10 Markaz, said that the prices of used mobile phones will remain unaffected. @Abdul Wadood Were you actually expecting something for the commoners? The budget did not leave any relief for people and increased tax rates will further cause burdens over poor people and those who earn lower income. Government employees unlikely to suffer but employees in private organizations and those who earn daily wages are likely to be suffered very much. Feudal people managed to increase their income through agriculture from one side and increased taxes will lead them to to make more corruption on the other side. Budget books brought in prison van! And the way the books are being thrown on the road!! Both acts how a deep disregard for the parliament and the parliamentarians. PMLN and the Poor have always been having inverse relationship ! Those who can pay 70,000 for an S4 can also pay an additional 5,000.
in a decadent society the rulers have no moral courage to impose direct taxes they resort to indirect taxes which greatly reduce the spending power of the low income group. Shame on you! Rs. 1000 increased for minimum wage, whereas salaries of secretaries doubled!